Earlier this week I shared a tutorial on using OpenCV to stream live video over a network via ImageZMQ — and today I’m pleased to share an interview with Jeff Bass, the creator of ImageZMQ! Jeff is truly one of my favorite people that I’ve ever had the honor to meet. Over his 40 year career he’s amassed an incredible amount of knowledge over computer science, electronics, statistics, and more. He also spent 20 years doing statistics and data analysis at a large biotech company. The advice he gives is practical, to the point, and always very well said. It’s a privilege to have him here today. On a personal note, Jeff was also one of the original PyImageSearch Gurus course members. He’s been a long-time reader and supporter — and he’s truly helped make this blog possible. It’s a wonderful pleasure to have Jeff here today, and whether you’re looking for unique, practical applications of computer vision and OpenCV, or simply looking for advice on how to build your portfolio for a career in computer science, look no further than this interview! Adrian: Hey Jeff! Thank you for being here today. It’s wonderful to have you here on the PyImageSearch blog. For people who do not know you, who are you and what do you do? Jeff: I’m a lifelong learner who’s been playing with electronics and computers for over 40 years. I studied econometrics, statistics and computer science in grad school. I developed a statistical software package for PCs back when PCs were a new thing. I spent 20 years doing statistics and data analysis at a big biotech company. Now I’m retired from income producing endeavors and building a small permaculture farm in Southern California. I’m using computer vision, sensors and Raspberry Pis as tools to observe and manage the farm. I speak at garden clubs and conferences occasionally. I really enjoyed being a speaker at PyImageConf 2018. Adrian: How did you first become interested in computer vision and deep learning? Jeff: I got a Raspberry Pi and a Pi Camera module in 2013 when they first became available. I wanted to use them to observe and catalog wildlife activity as I got started with the farm. I was already very familiar with Linux and C, but the best Pi Camera interface was the “Picamera” module in Python. I started “web wandering” to learn more about Python programming and computer vision. I ran across your tutorial blogs and bought your Practical Python and OpenCV book. Once I’d worked through the examples in your book, I was hooked. Figure 1: Jeff Bass runs Ying Yang Ranch, a permaculture farm designed to grow food with long term sustainability. Adrian: Can you tell us a bit more about your farm? What is permaculture farming? Why is it important and how is it different than “traditional” farming? Jeff: I call the farm Yin Yang Ranch. It is a small 2 acre “science project” in a suburban area. I started learning about permaculture at the same time I started learning about Raspberry Pis. Permaculture is a collection of practices and design principles to grow food with long term sustainability as the primary goal. It starts with creating deep living soil with diverse microbiology, emulating an old growth forest. Permaculture design choices prioritize sustainability over efficiency. It is science based, emphasizing a cycle of careful observation, repeatable experiments and open sharing of best practices. Permaculture farms are generally small and include many different kinds of plants growing together rather than rows of similar crops. Food plants are grown in the same space with native plants. I am growing figs, pears, pomegranates, plums, grapes, avocados, oranges, mulberries, blackberries and other edibles. But they are interplanted with native California Coast Live Oaks and Sycamore Trees. It doesn’t look much like a traditional farm. Traditional agriculture is efficient, but degrades soil and water resources. Permaculture is trying to change that. Figure 2: Jeff uses Raspberry Pis + computer vision around his farm. 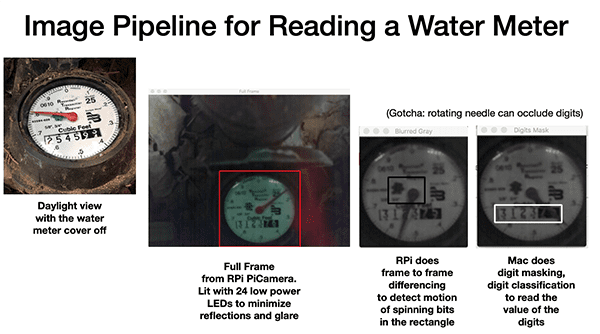 An example of such is automatic water meter reading using OpenCV. Adrian: How can Raspberry Pis and computer vision be helpful on your farm? Jeff: We are in Southern California about 10 miles from the Malibu coast. Drought and limited rainfall are the toughest climate issues. 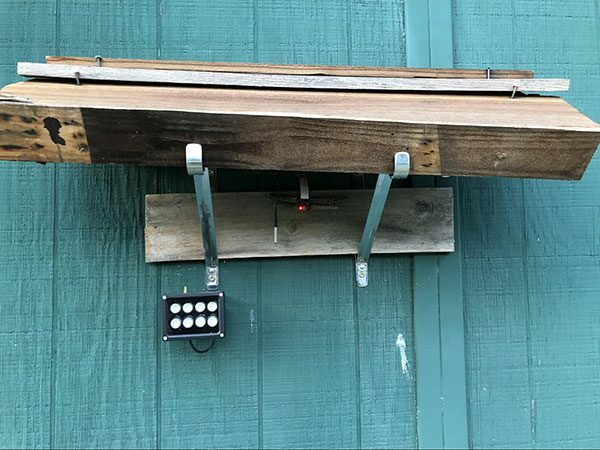 Monitoring and observation are important, so I built a Raspberry Pi Camera system to read the water meter and monitor temperatures to optimize irrigation. How many gallons did it take to water the mulberries today? When did the coyotes last run behind the barn? What is the temperature and soil moisture under the avocado trees? What is the temperature and moisture content of the 5 compost piles? How is it changing over time? How much solar electricity did we generate today? How full are the rain barrels? How do the birds, butterflies and other critter movements change with the seasons and with whatever is blooming or putting on fruit? The Raspberry Pis are also keeping track of stuff like the opening and closing of garage and barn doors. And they can let me know when a package is delivered. Adrian: You created a library called imagezmq. What is it and what does it do? Jeff: The imagezmq library implements a simple and fast network of Raspberry Pis (clients) and servers. Early on, I decided on a distributed design using Raspberry Pis for capturing images and using Macs for analyzing the images. The goal was to have Raspberry Pis do image capture and motion detection (is the water meter spinning?) and programmatically decide on a small subset of images to pass along to the Mac. I spent a year trying different ways of sending images from multiple Raspberry Pis to a Mac. I settled on the open source ZMQ library and its PyZMQ python wrappers. My imagezmq library uses ZMQ to send images and event messages from a dozen Raspberry Pis to a Mac hub. ZMQ is fast, small, simple to use and doesn’t need a message broker. 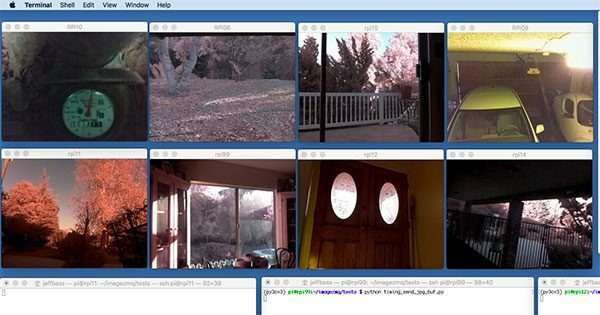 Figure 3: Live streaming video from 8 Raspberry Pis to a central hub using Python, OpenCV, and ImageZMQ. It uses 12 lines of Python code on each Raspberry Pi and 8 lines of Python on the Mac. One Mac can keep up with 8 to 10 Raspberry Pis at 10 FPS. ZMQ is fast. imagezmq enables a computer vision pipeline to be easily distributed over multiple Raspberry Pis and Macs. The Raspberry Pi captures images at 16 FPS. It detects motion caused by the spinning of the water meter needle. It sends only the images where the needle starts moving or stops moving, which is only a small fraction of the images it captures. Then, the Mac uses more advanced computer vision techniques to read the “digital digits” portion of the water meter images and determine how much water is being used. Each computer is able to do the portion of the computer vision pipeline for which it is best suited. imagezmq enables that. Adrian: What is your favorite computer vision + Raspberry Pi project that you’ve deployed on Yin Yang Ranch? 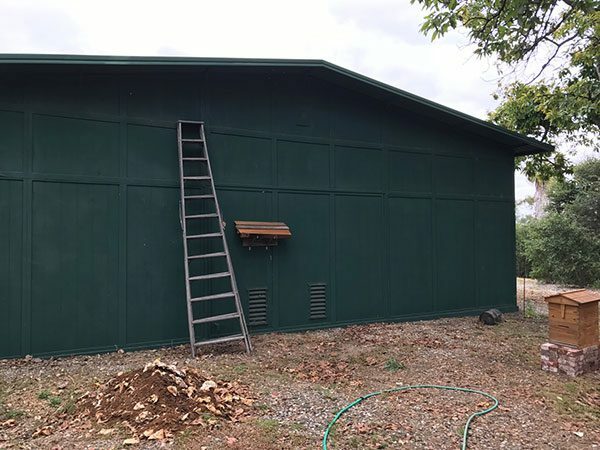 Jeff: I’ve mounted a Raspberry Pi on the back wall of my barn with an infrared floodlight. It tracks motion and sends images when the motion is “critter like”. I’ve captured images of coyotes, raccoons, possums, bats, hawks, squirrels and rabbits. I’m still working on the deep learning models to classify them correctly. It’s been a lot of fun for me and my neighbors to learn more about the wildlife around us. Figure 4: A selection of Raspberry Pi components and cameras, including (left to right) Waveshare Combo IR lens and dual IR floodlights, PiNoir IR Camera with IR “Ring Light” floodlight, RPi Zero with PiCamera in white light “Ring Light” with DS18B20 temperature probe, RPi Zero with “Spy Cam” and longer range WiFi, and RPi Zero with older model (and half price) PiCamera. Adrian: Raspberry Pis, while cheap, are by no means as powerful as a standard laptop/desktop. What are some of the lessons learned while using Raspberry Pis around the farm? Jeff: Raspberry Pis are great at image capture. The Pi Camera module is very controllable in Python for changing things like exposure mode. A USB or laptop webcam is usually not controllable at all. Controlling exposure and other camera settings can be very helpful in wildlife tracking and even reading a water meter. 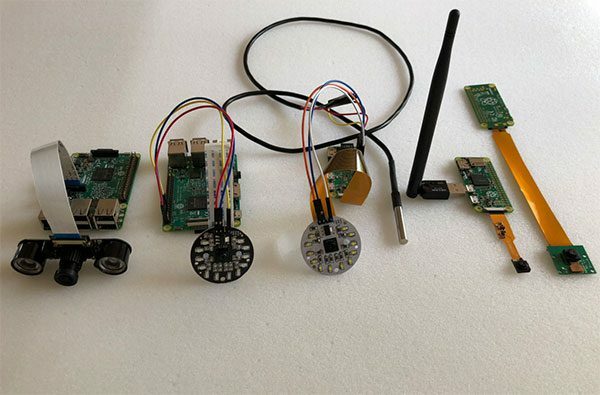 The Raspberry Pi GPIO pins can gather readings from temperature sensors, moisture sensors and others. The GPIO pins can be used to control lights like the lights that illuminate my water meter and my barn area. Laptops and desktops don’t do those things easily. On the other hand, Raspberry Pis lack a high speed disk drive — the SD card is not suitable for writing lots of binary image files. In my system, the Raspberry Pis send the image files over the network rather than storing them locally. Laptops and desktops have fast disk storage and lots of RAM memory allowing more elaborate image processing. I try to have my Raspberry Pis do what they excel at and have the Macs do what they are good at. Most of my Raspberry Pis are Raspberry Pi 3’s, but I also use the cheaper, smaller Raspberry Pi Zero for Pi Cameras that only need to do simple motion detection, like my driveway cam. When there is no need for additional image processing, even the smaller memory and less powerful processor of the Pi Zero is adequate. Adrian: What types of hardware, cameras, and Raspberry Pi accessories do you use around the farm? How do you keep your Pis safe from getting wet and destroyed? Jeff: I use Raspberry Pis with Pi Cameras at many places around the farm. They often have temperature, moisture and other sensors. I build multiple kinds of enclosures to protect the Raspberry Pis. 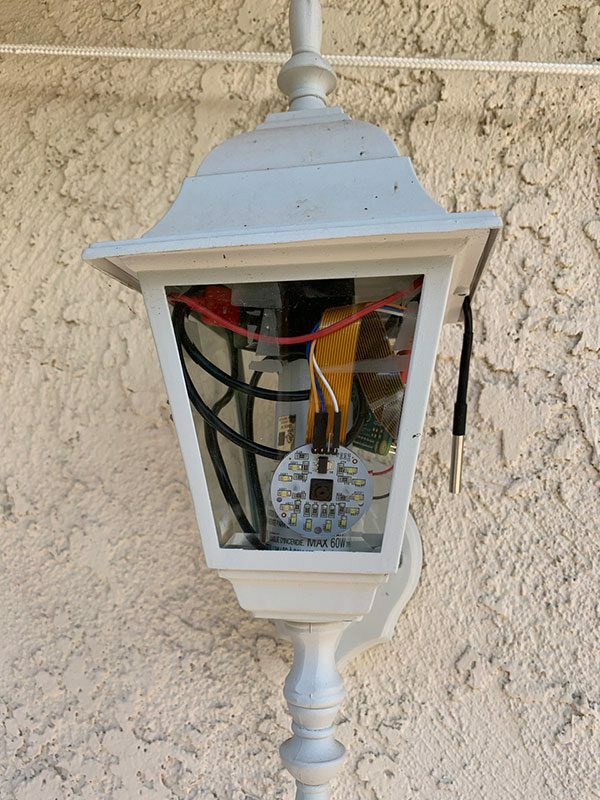 Figure 5: Converting an outdoor light fixture into a waterproof Raspberry Pi container. Figure 6: A simple Raspberry Pi enclosure using a simple mason jar. Figure 7: A simple wooden overhang to protect the Raspberry Pi. Figure 8: A closer up view of the overhang (you can see the red light from the Raspberry Pi camera if you look closely). 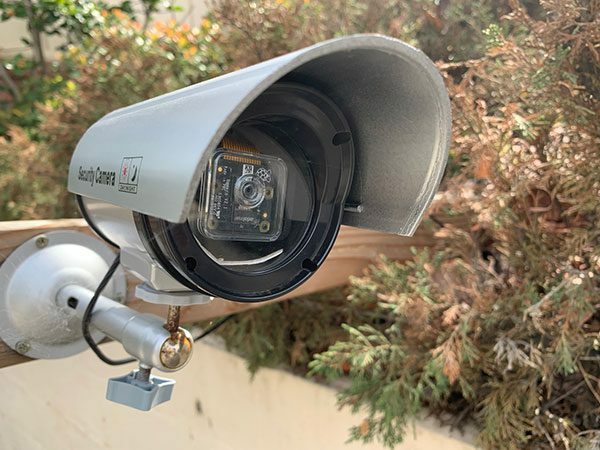 Figure 9: The shell of a fake security security camera can easily house a Raspberry Pi + camera module. 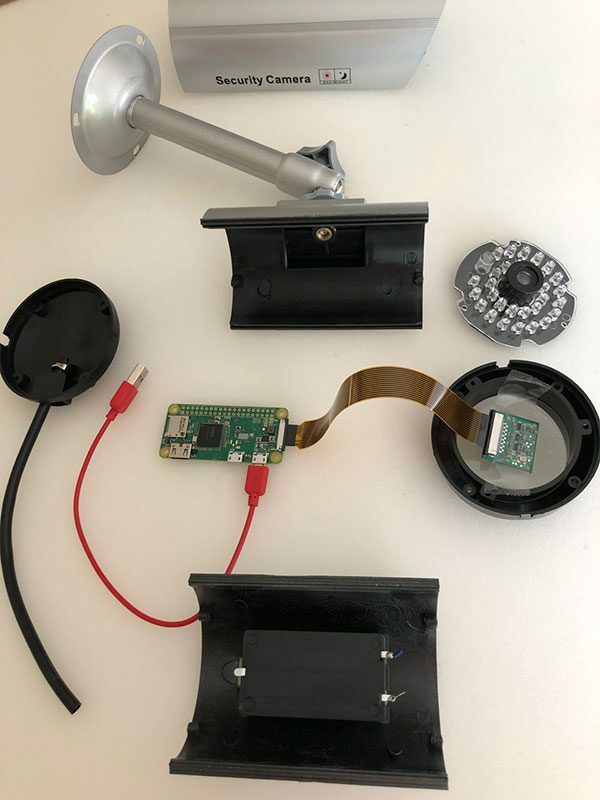 Figure 10: Adding the Raspberry Pi + camera components to the security camera shell. For power, I tend to run longer power lines (over 20 feet long) at 12 volts, then convert to 5 volts at the Raspberry Pi. I use 12 volt power adapters like those that are used to charge cell phones in cars. Cheap and effective. Most of my Raspberry Pis are networked with WiFi, but I have ethernet in my barn and at various places around the house, so some of my Raspberry Pis are using ethernet to send images. Adrian: During your PyImageConf 2018 talk you discussed how projects like these can actually help people build their computer vision and deep learning resumes. Can you elaborate on what you mean there? Jeff: During my 30 years of managing programming and data analysis teams, I found it very helpful when job candidates came to the interview with a specific project in their portfolio that showed their strengths. 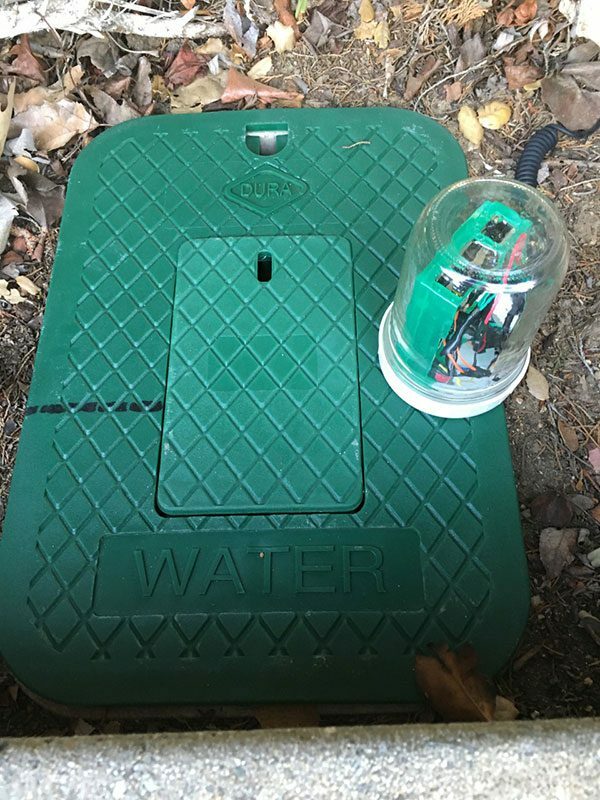 A computer vision project — even a hobby project like my Raspberry Pi water meter cam — can really help demonstrate practical skills and ability. A well documented project demonstrates practical experience and problem solving. It shows the ability to complete large projects fully (80% solutions are good but 100% solutions demonstrate an ability to finish). A portfolio project can demonstrate other specific skills, such as using multiple computer vision libraries, the ability to write effective documentation, facility with Git / GitHub as a collaboration tool and technical communication skills. It is important to be able to tell a short, compelling project story — the “elevator speech” about your portfolio project. Adrian: How as the PyImageSearch blog, the PyImageSearch Gurus course, and the books/courses helped you make this project a success? Jeff: When I started learning about computer vision, I found that a lot of the material on the web was either too theoretical or gave simplistic code snippets without any fleshed out examples or complete code. When I found your PyImageSearch blog, I found your tutorial projects to be very complete and helpful. You provided an understandable story line for each problem being solved. Your explanations were clear and complete with fully functioning code. Running some of the programs in your blog led me to buy your Practical Python and OpenCV book. I took your PyImageSearch Gurus course and learned to code many specific computer vision techniques. I had previously read about many of these techniques, but your specific code examples provided the “how-to” I needed to write computer vision code for my own projects. The license plate number reading section of your Gurus course was the basis for the first draft of my water meter digits reading program. Your deep learning book is helping me to write the next version of my object recognition software for tagging critters around the farm (racoon or possum?). Adrian: Would you recommend PyImageSearch and the books/courses to other developers, researchers, and students trying to learn computer vision + deep learning? Jeff: I would definitely recommend your PyImageSearch blog, books and courses to those trying to learn about this rapidly evolving field. You are very good at explaining complex techniques with a helpful mix of code and narrative discussion. Your books and courses provided a jump start to my understanding of the theory and practice of modern computer vision algorithms. I had not programmed in Python before, and some of its idioms felt a bit odd to my C conditioned brain. Your practical examples helped me use the best features of Python in “Pythonic” ways. Your Gurus course is well structured with a good flow that builds on simple examples that are expanded lesson by lesson into fully developed programs that solve complex problems. Your coverage of the many different computer vision and deep learning techniques is broad and comprehensive. Your books and courses are a good value for what you charge for them. Highly recommended. Adrian: What are your next steps for Yin Yang Ranch and your current computer vision/deep learning projects? Jeff: I would like to do more wildlife identification and counting. The farm is next to an open space that is a wildlife corridor through a suburban area. I’m going to use more advanced deep learning techniques to identify different animals by species. When do specific animals come and go? What birds and butterflies show up in which part of the season? How are their numbers related to seasonal rainfall? I would like to use deep learning to identify specific individuals in a coyote pack. How long is a specific coyote staying in our area? I can recognize specific individuals when I look at captured images. I’d like to use deep learning to do that with software. Jeff: Building stuff with software and hardware can be a lot of fun. If someone is reading this and wondering how to get started, I would suggest they start with something they are passionate about. There is likely to be some way that computer vision and deep learning can help with a project in their area of interest. I wanted to do some permaculture farm science and my computer vision projects are helping me do that. I’m learning a lot, giving some talks and farm tours to help others learn…and I’m having a lot of fun. Adrian: If a PyImageSearch reader wants to chat, what is the best place to connect with you? Or they can send me an email at jeff [at] yin-yang-ranch.com. In this blog post, we interviewed Jeff Bass, the creator of the ImageZMQ library (which we used in last weeks’s tutorial), used to facilitate live video streaming from a Raspberry Pi to a central server/hub using Python + OpenCV. 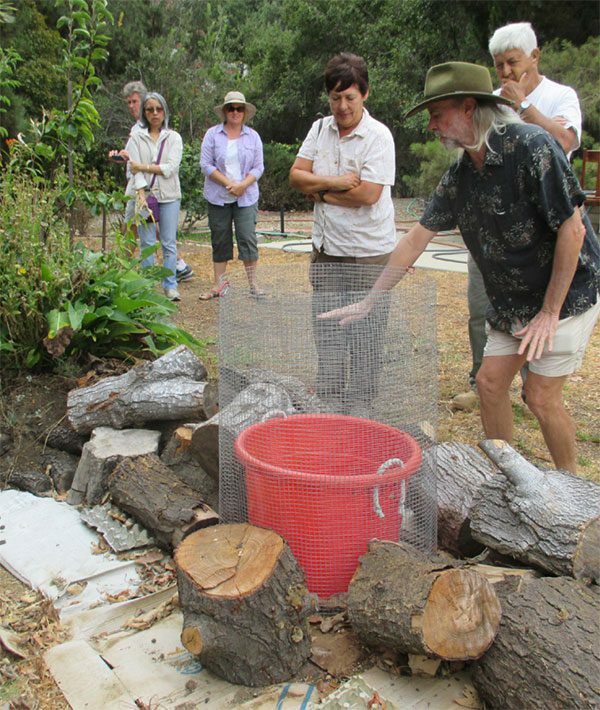 Jeff was motivated to create the ImageZMQ library to help around his permaculture farm. Using ImageZMQ and a set of Raspberry Pis, Jeff can apply computer vision and data science techniques to gather and analyze temperature readings, water meter flow, electricity usage, and more! Please take a second to thank Jeff for taking the time to do the interview. To be notified when future blog posts and interviews are published here on PyImageSearch, just be sure to enter your email address in the form below, and I’ll be sure to keep you in the loop. Inspiring work. Thank you both for sharing! Thanks Dr. Adrian for introducing Jeff to us. Thanks Mr. Jeff for your extraordinary work, you are such an amazing and inspiring person. Reading your experience is enlightening. They say where there is a will there’s a way. Will definitely follow your work and get in touch. Thanks Abkul, I’m glad you liked the interview. Jeff is indeed a wonderful, inspiring person. The wildlife classification network sounds like a neat problem to chase. I’d guess that using fine-tuning (probably on a VGGNet trained on Imagenet)) would be a great approach and wouldn’t require a very large set of samples to get good results. Imagenet already recognizes a lot of different kinds of animals. Although after thinking about it a little more, the fact that a lot of the images would be taken at night and be effectively monochromatic would make things a bit more challenging. And there is always the risk with Imagenet-trained models that the training set was taken with very good cameras (better than a Pi Camera) and taken by humans and not a machine. I’d still try the fine-tuning approach but expect that you are going to have to do a little more work. The go-to material for lenses for infrared camera lenses is Zinc Sulphide, which is very expensive. Although cellophane works fine and plexiglass is almost as good. Best of luck and I look forward to hearing more about the Yin Yang Ranch. Another good approach would be considering how data augmentation could be used to generate monochromatic-like images as inputs to the network. Can’t think of a library that does that off the top of my head but it should, at least theoretically, be possible. Oh my God! This is so cool! This is why I LOVE technology! Truly inspiring Jeff ! So wonderful to see how creatively you’ve applied CV. Thanks Adrian for this wonderful interview. Jeff this is amazing! I will be reaching out.